This Series will use the in game championship creator so people can join back in if they get kicked out due to connection issues. 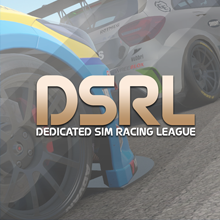 The DSRL wants to try it's hand at a knockout based series spanning over 8 rounds using default setups and random cars. 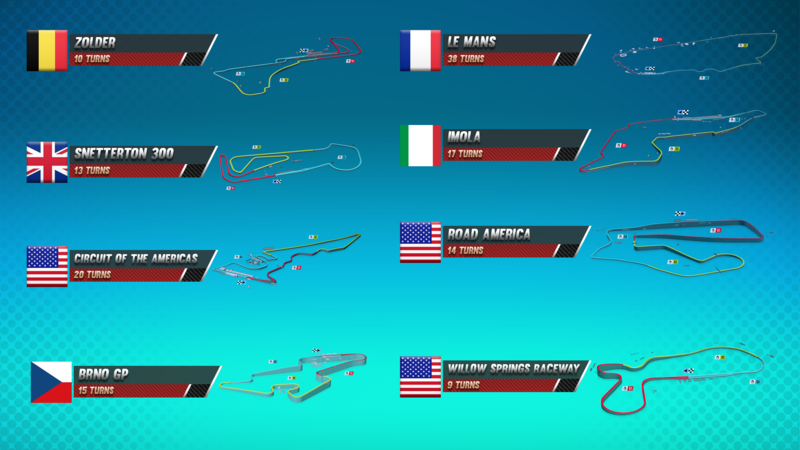 All 8 cars and tracks are shown below but the track and car combination is not going to be known until the day. Once a car is used and track they will not feature again for the rest of the season. This season will be on Tuesdays at 8pm BST Time. Starting on the 27th of March 2018 and finishing on May the 15th 2018. On the day of the race in the morning BST Time i will use a random generator to pick the car and track. To make this as fair as possible we will use default setups. The Assists for the championship will be set to only ABS and Traction Control. It is upto you if you want to run them or not. the view will not be locked so you can use what you would like to use. One question - I assume that you can jump on any time in the 24hr round and do you laps? Not sure how many I'll be able to make but I'd like to give it a go as this looks like good fun. and the odd one out is Epileptictoast unless more people decide to join. 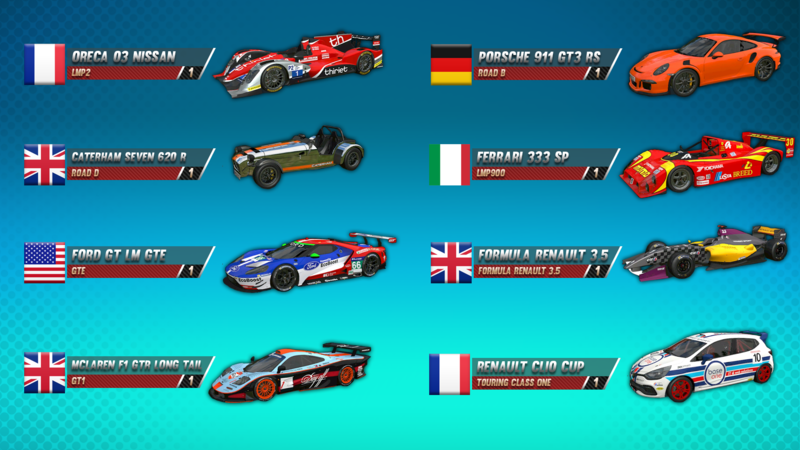 Thank you to the people we had for last nights round 1 using the Formula Renault 3.5 round Zolder. The Knockout work last night but it was slightly confusing but it was good practice to understand that we shouldn't do it that way as it isn't really fair. So as of the next round we will be dropping the round format as it's too complicated. The Point system will remain just the format will change to a 25 minute session with you being able to have as many laps as you can do in that time against everyone. I hope this makes it fairer and more of a competition.